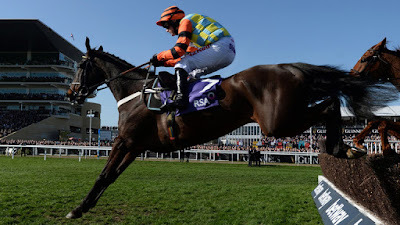 Cheltenham is one of the showcase events of the racing calendar, and with the runners finally announced, it is time to look beyond the Gold Cup and dive into the detail of some of the other races taking place over the four day festival. There are 28 races, and organisers estimate that half a billion pounds will be bet on the outcomes. With well over a month to go before the crowds descend on Cheltenham, plenty has already been said about the impending showdown between Sizing John and Might Bite in the showcase event. So let’s see what other runners are taking the fancy of the top tipsters for Cheltenham 2018. Those in the know say that if you hang on to the coat tails of veteran trainer Nicky Henderson, you can’t go far wrong. The man from Seven Barrows, Berkshire, has a record that is unparalleled and most of the experts picks for this year are from Henderson’s stable. Might Bite is the obvious example, but Henderson’s Buveur D’air is hotly fancied to win the Champions Hurdle for the second year in succession on the opening day. Also look out for Henderson’s Alitor in the Queen Mother’s Champion Chase on Ladies Day. The showcase race on St Patrick’s Day is the Stayers Hurdle, and for 2018, this event is attracting more attention from tipsters than any other, due to the open nature of the field. Uknowhatimeanharry was the early favourite, having finished third last year and produced an impressive win at Aintree in November. However, question marks over his fitness have seen odds slip to around 12/1. Sam Spinner is currently the bookmakers’ favourite, but it is a close one to call, and using the logic of “if in doubt, follow Henderson,” L’ami Serge is a compelling punt at 10/1. So much, then, for the showcase events. There are also some compelling novices slated to run at Cheltenham, and few have garnered as much attention Fountains Windfall. Anthony Honeyball’s nine year old gelding was the talk of Kempton when he blew the opposition away in the Handicap Chase on 13 January. Honeyball certainly feels that Fountains Windfall is the real thing, and the tipsters are inclined to agree. The horse will be running in the third race on Wednesday, and the 9/1 odds look highly generous. They are shortening by the day, so grab them while you can. Of course, we can’t ignore the Gold Cup entirely. The Might Bite / Sizing John debate will only get hotter as the day approaches, and if it came down to a choice between the two, most of the experts believe that Might Bite is the stronger. However, it is far from a two horse race, and Coney Island could surprise everyone. The horse was out through injury for almost a year, but came back looking stronger than ever at Leopardstown last month. Bookmakers are currently offering 8/1, but expect those odds to shorten as Cheltenham draws closer.